TCAS, LLC provides a wide range of professional services including review of civil and criminal litigation matters with respect to chemical exposures, alcohol ingestion, intentional poisons involved in homicides, occupational or community exposures to carcinogens, pharmaceuticals, pyrolysis products, heavy metals, organic chemicals, dioxins and drugs of abuse. Forensic toxicology and toxic exposure investigations include analytical protocol, referral of autopsy material for analyses, environmental and occupational health risk assessments and site assessment and causation determination. Final work products, including scientific methods and validation as well as forensic documentation and written reports useful in both forensic and routine (non-judicial) assessments, have been provided to multiple clients in over 30 states. We routinely work throughout the Americas from the Virgin Islands, Bahamas to Alaska and have offices in New York State and Florida. TCAS, LLC is sending this newsletter to all our past and present clients with the hope that it is of value to your professional endeavors. Welcome to our new series of short, educational summaries of forensic toxicology matters taken from actual TCAS cases over the past 25 years. Each case summary is factual, however, identifying case information has been removed unless revealed through jury verdict reports. Although interesting to read, the purpose of these case summaries is to show you how the application of toxicological principles can be used in forensic matters. On occasion, we will also be releasing summaries on new toxicological studies and regulations. In the event you have an interesting case you would like to discuss, please feel free to call or email us for a prompt, confidential teleconference appointment. Eighty-eight semi-rural New York State residents commenced an action for personal injury and property damages due to the Defendant's alleged contamination of groundwater and drinking wells with trichloroethylene (TCE) and vinyl chloride. TCE and vinyl chloride are confirmed human carcinogens associated with non-Hodgkin's lymphoma, leukemia, kidney and liver cancer and other malignancies. Vinyl chloride is known to cause certain types of liver cancer. Plaintiffs claimed that the TCE and vinyl chloride emanated from property formerly used by Defendant to manufacture electrical components. The plant used TCE and other solvents to clean component parts from approximately 1962 to 1967 with spent solvent disposed of in an on-site, unlined "evaporation pit." In 1979, the Defendant sampled the soil near one of the abandoned pits and detected chemicals within the soil. In 1985, the Defendant hired an environmental company to further assess their industrial site and found TCE within the groundwater at levels thousands of times in excess of the New York State drinking water standard. However, the Defendant notably failed to alert the nearby residents of these test results. The Defendant also failed to test any of the Plaintiffs' local drinking water wells. As a result of this inaction, the Plaintiffs were needlessly exposed to TCE for an additional 15 years at which time governmental agencies finally initiated independent testing (year 2000). To assess the claim, the Plaintiffs' expert hydrogeologist modeled historic well water TCE levels at each Plaintiff's location. Dr. Sawyer prepared a residential screening questionnaire to ascertain TCE exposures via ingestion quantity, dermal absorption and inhalation using generally accepted, peer-reviewed methodology. The results of the questionnaire were compiled and presented in court to demonstrate both the documented and potential effects of TCE and vinyl chloride exposures in the well water upon the Plaintiffs. Additionally, Dr. Sawyer prepared a toxicological health risk assessment based on the exposure parameters of the 88 Plaintiffs and an assessment of potential malignancies supported by human toxicological and epidemiological studies. Dr. Sawyer was challenged by the Defendant with numerous pre-trial arguments within motions to exclude - all of which were denied by the court. Risk assessment results were based on a generally-accepted, peer-reviewed methodology. Cancer risk assessment value exceeded the USEPA benchmark value for "significantly increased risk." Met requirements for medical monitoring candidacy per ATSDR under CERCLA as published in the Federal Register. A protracted, three week trial ensued during which Dr. Sawyer offered expert toxicological testimony on these matters. In view of overwhelming toxicological evidence, demonstrable negligence of the Defendant to test residential drinking wells and alert residents as well as the denial by the court of all motions to exclude damaging expert testimony, the Defendant elected to settle prior to a likely verdict in favor of the Plaintiffs. Did chemical exposure cause lung injury? A house-keeping employee at a hospital in California reported using a combination of industrial-grade, janitorial cleaning products to clean a sink. However, she immediately experienced coughing, watery eyes and a burning sensation in her nose and chest upon inhalation of the fumes. She began to feel very tired and weak but continued to work. Over the next several days, her symptoms progressively worsened. Approximately two weeks after her exposure to the cleaning chemicals, she presented at the hospital with shortness of breath and a temperature of 100.4 degrees. An X-ray of the chest noted ground-glass abnormality in the lower lung zones, focal infiltrate at the right lung base and areas of possible air trapping. She was not able to return to work due to continuing respiratory issues and complications. Ultimately, she was diagnosed with an interstitial pulmonary injury and end-stage fibrotic lung requiring lung resection and transplant. After her recovery, a lawsuit was brought by the employee against the hospital. Was Plaintiff's Prior Medical History Responsible? Past medical records revealed that the Plaintiff had a history of asthma, pneumonia, bronchitis and chronic obstructive pulmonary disease for six years prior to this exposure. Although these diagnoses indicate that the Plaintiff may have been predisposed with compromised pulmonary function prior to her exposure, they do not provide an explanation for acute injury and end-stage fibrotic lung. A Material Safety Data Sheet for the janitorial cleaning product named in the claim reveals that it contains 1-3% phosphoric acid when properly diluted. Phosphoric acid is ubiquitous in many products. 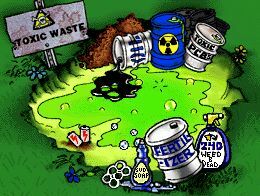 NIOSH estimates that each year 1.2 million workers are potentially exposed to phosphoric acid. While it is generally recognized that phosphoric acid is an irritant to the skin, eyes, mucous membranes and respiratory tract, workers rapidly become acclimatized. It is generally accepted in toxicology that the risk of pulmonary edema resulting from the inhalation of the mist or diluted spray is remote. In fact, a review of all available human epidemiological studies is negative for any such findings. Furthermore, the Hazardous Materials Identification System reveals that the cleaning product at 1 to 3% dilution is no more hazardous than common window cleaner. 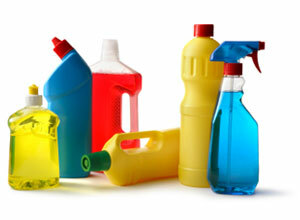 Spray bottles of the cleaning product were tested with respect to particle size. On average, the particle size of each droplet was generally greater than 100 µm (non-respirable) with less than 0.03% of respirable size. In other words, the spray bottles of the product did not produce respirable particles capable of reaching the mid or deep lung regions but rather would be trapped within the upper respiratory tract by the nose, trachea, larynx or mouth. Thus, less than one-half percent of the droplets would have been capable of penetrating into the deep lungs and cause injury. Additionally, highly soluble acids, such as phosphoric acid, are absorbed into the moist regions of the mouth, nose and pharynx. With no human epidemiological evidence supporting a causal relationship of inhaled phosphoric acid aerosol with deep lung injuries and a review of phosphoric acid toxicity, Dr. Sawyer was able to demonstrate that the Plaintiff's exposure to the cleaning product did not contribute to her lung injury and ultimate transplantation. It should be noted, however, that the Plaintiff was co-exposed to chlorine gas secondary to her intermixing of contraindicated cleaning products that most likely caused her permanent injury. Dr. William Sawyer is a professional toxicologist with a doctorate in toxicology from Indiana University School of Medicine. He is a diplomate of the American Board of Forensic Medicine and has over 25 years of extensive experience in public health and forensic toxicology with specialized expertise in causation analyses (plaintiff and defendant) including alcohol toxicology, drugs-of-abuse, pharmaceuticals, herbal products, dioxins, solvents, heavy metals, crude oil, radionuclides/NORM and other substances. Dr. Sawyer has testified in trial or deposition in over 30 states including NY, MA, CT, PA, RI, NH, DE, NJ, WV, VA, NC, SC, GA, FL, AL, MS, LA, AR, MO, KY, IN, IL, WI, MI, OH, MN, MT, WA, CA, TX, OK.
Dr. Sawyer is a member of the Gulf Coast Swim Team as a distance swimmer and recently completed the "Swim Around Key West" race in just over six hours. He is also a triathlete with the distinction of being a four time Ironman. He loves to fish and SCUBA dive in northern New York state and the Gulf of Mexico. Jennifer Clark (Jen) began working with Dr. Sawyer in 2007 after spending the previous 18 years as a full-time mom. With a former background as a legal assistant prior to the birth of her two daughters, Jen spends a considerable amount of her time researching pertinent information related to ongoing cases. Not only does she have a special ability for ferretting out information, she also has excellent grammatical skills which she applies to communications and report preparation. Jen loves a challenge and the fact that no two days at TCAS are the same! Carol Sawyer serves as the bookkeeper for TCAS, LLC. By training, she is a dental hygienist graduate from Indiana University School of Dentistry with many years of practice. She also has prior training and work experience in an accounting firm as a file room clerk and has handled the TCAS records since its inception in 1989. Carol enjoys specialty food preparation, volunteer services to the church and community, barrier island beaches, reading and the outdoors environment.